Superman style never GETS obsolete,especially when it comes to father's day. Daddy is your superhero and we can make it real by creating your daddy's bobblehead with superhero body. 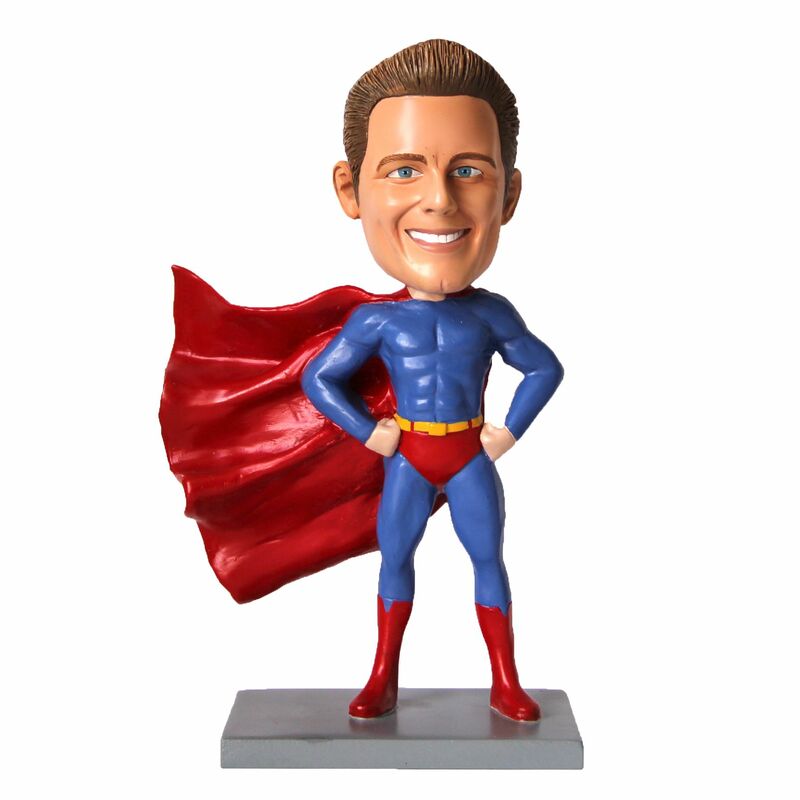 100% handcrafted 7-inch custom bobblehead with stock body pose&style, head sculpted based on customer photos. Colors of hair, eye, skin and dresses etc can be flexibly changed based on customer instructions. By FINE CUSTOM MADE INC.